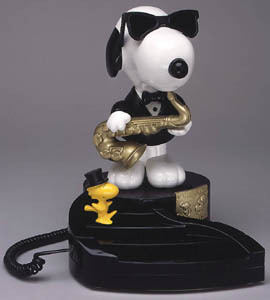 Snoopy plays the saxophone, taps his foot, and gyrates to the original Peanuts theme song. Redial, volume control. Special gold plate on base commemorates Peanuts’ 50th Anniversary. Beautifully crafted, colorful Betty Boop in custom designed outfit. Betty says five different custom phrases, one after each ring. In addition, her skirt blows up to reveal a cute garter. Switchable ringer (conventional or custom). Requires 4 C batteries (not included). 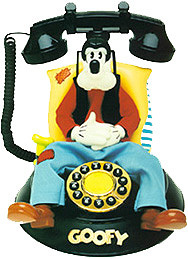 This Disney Goofy Animated telephone will brighten up any room in the house. • Replica of Walt Disney's Goofy. 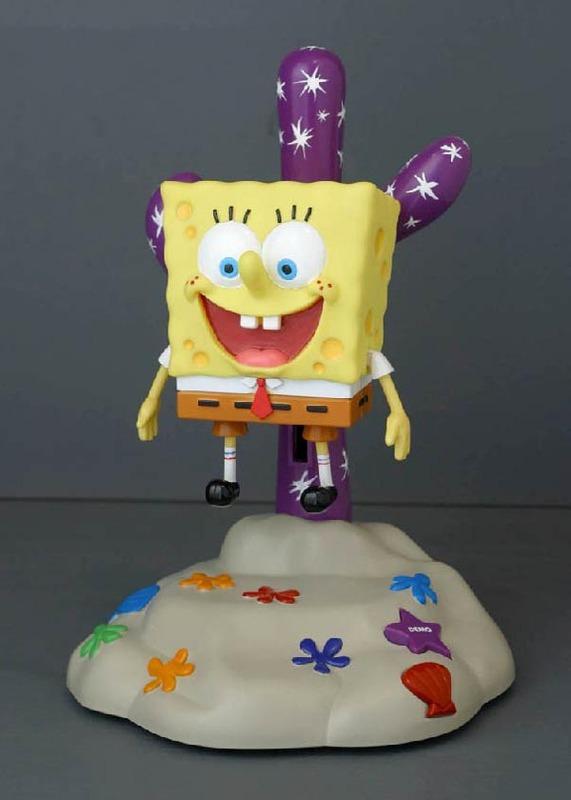 • Officially Licensed by Walt Disney. 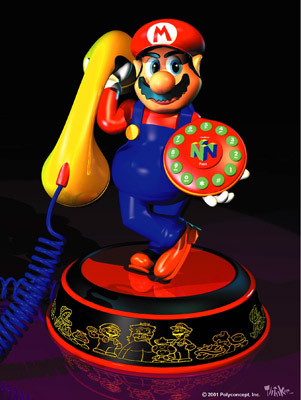 • When telephone rings Goofy lifts his head, opens his eyes and will speak (one of 5 different phrases). • Switchable Ringer FCC and ETL approved Hearing aid compatible. • Requires 4-C batteries (not included). 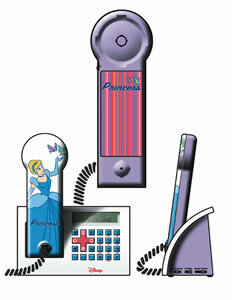 Absolutely adorable phone for any Disney Goofy Fan! 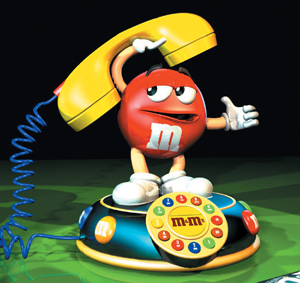 * Box dimensions: 10" x 10" x 12.52"
This colorful phone features animated movement, 30 second sound chip and light effect triggered by incoming call. 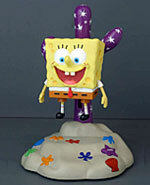 Red character will move from side to side, Green Yellow and Blue will rise from the film cans and bow to the audience. 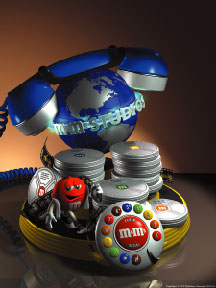 Light in the globe will light up and the “M&M’s” STUDIO disc will rotate clockwise. 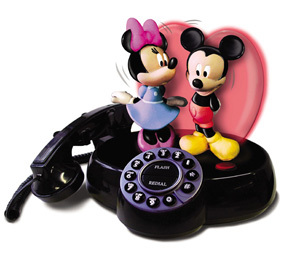 Mickey and Minnie move to talk to each other with an incoming call or a press of the Demo button. Minnie kisses Mickey and the heart light up and blinks!